I think I must have gotten too much sun over the past couple of weeks in our bi-annual family reunion at the Jersey shore, for seeing these lovely glass handled servers on a quick stop- in at Home Goods, my brain seemed to forget to remind me that grey is not the best color for food photography. Oh well. Anyway these gems still suit perfectly for lots of type dishes, including today’s Peach Crisp, or, more to the point, using up these half dozen peaches that started out, well, rather perfectly peachy, but between preparing other foods for the shore and the overall chaos that goes along with the beach holidays, they sort of got held off in the crisper box until I could get to them, fortunately in time. Among the advantages of fruit crisps, besides providing a means of using up fruit, and always seeming to be a traditional favorite sweet treat, is that they only take about fifteen minutes to prepare before baking. 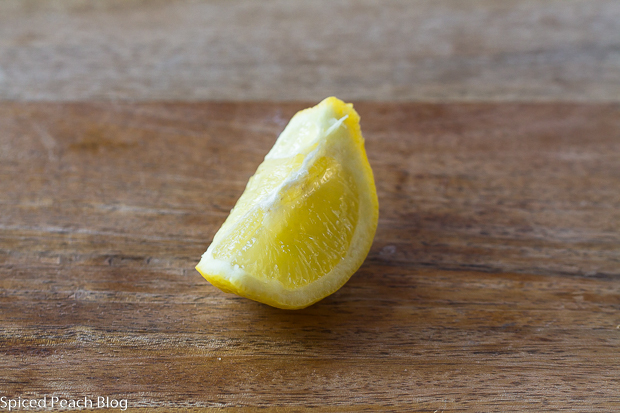 A bit of a squeeze of lemon tossed with some sugar. 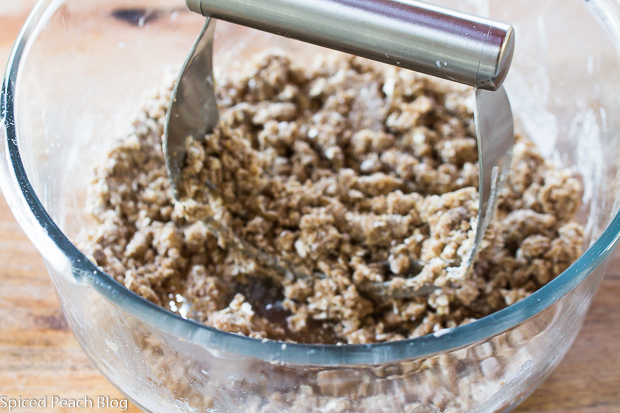 And then, just blend up your crumble mix for the topping. 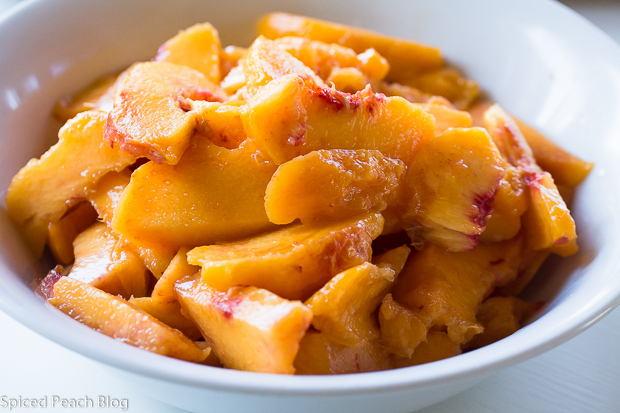 Terrific way to use up extra peaches. 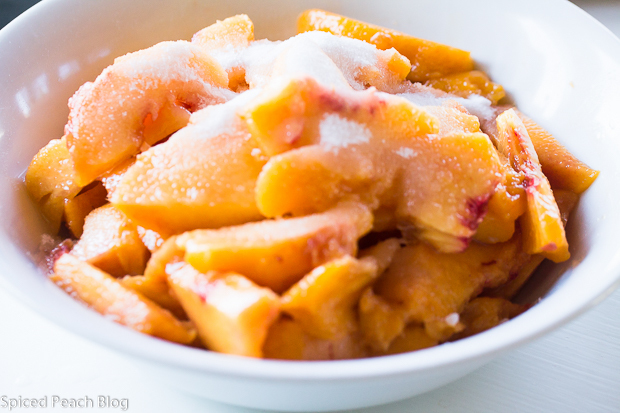 Preheat oven to 350 degrees.Toss sliced peaches with lemon juice and sugar. 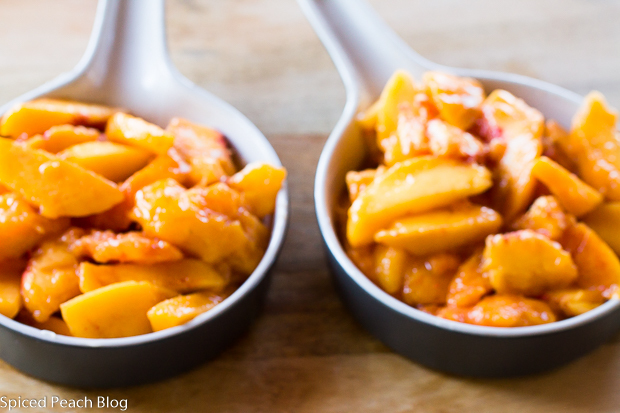 Portion peaches into a greased glass baking pan or individual heat proof dishes. In a large sized bowl mix together the brown sugar, oats, flour, and cinnamon, stir to combine, tumble in the butter, using a pastry blender cut the butter into the mixture until well blended, top mixture over the peaches. Place crisp (s) on top of a parchment lined baking sheet and bake for around 30 minutes until topping is golden and peaches are bubbling hot. Serve with a dollop of whipped cream or ice cream. This entry was posted in Fruit, Sweet Treats and tagged Peach Crisp, Peach Crisp Recipe, use up overripe peaches recipe. Bookmark the permalink. Post a comment or leave a trackback: Trackback URL. Peggy, this looks delicious! I can almost smell it here. While the gray may not be your favorite to photograph, the dishes are fabulous; they scream comfort food. So happy to hear you had a fun reunion on the shore. Enjoy these lazy, hazy, crazy, days of summer. Hi Kelly, so great to see you! Thanks so much on the Peach Crisp, which is entirely sinfully delicious, even as a kid I love that topping! Looking forward to seeing your Spain journeys and, this year, Portugal adventures! Big Hugs my friend. Happy Trails. 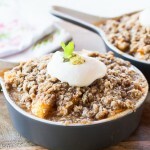 Love this peach crisp, yours looks perfectly baked. I bet your house smelled amazing. I just had the most amazing peach today, they are perfect right now. Hi Cheri, Thanks so much. 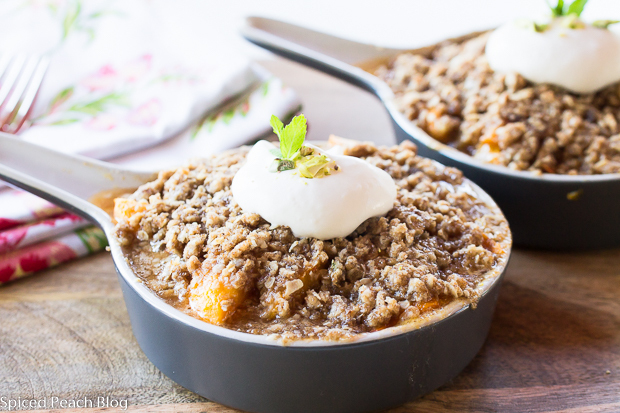 Peach crisp is delicious and so quick and easy to put together. Ah, the deliciousness of the summer season! My mother made the best, best ever peach crisp as I may have noted on your Facebook page. I never have been able to duplicate it although she cooked right out of the Better Homes & Gardens Cookbook (published in Des Moines, Iowa) so I do use that recipe. Yours seems and looks very similar so with that 1/2 cup of oats (Quaker Oats is located in Cedar Rapids, Iowa) I will give your recipe a go. I am headed to our Saturday Farmer’s market in an hour to pick up my peaches. Ours are still small but very juicy and delicious. BTW, I think your grey darling mini-skillets are perfect for photos. The food is always the star anyway so if the dishes are neutral, that’s good. Since my kitchen space is so tiny, and I cannot store much, all my dishes are white. I do get bored at times. 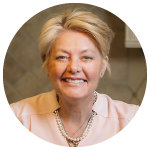 Hi Mary, Thanks so much and I love hearing stories about recipes and dishes that family members made that became special in the household. Sometimes it is hard to duplicate them mainly because lots of folks tweak the recipes as they go along and never write it down. I recently noted that in some old cookbooks my Aunt Betty gave me seeing that she had actually made little notes alongside on changes she made. The recipe I used is essentially the basic combination that Aunt Betty showed me to put together when I was younger, only difference being I actually carefully measured out and wrote it down- one of the nice perks in having a blog. Hope you enjoy this version. I do buy single plates for photographing dishes since I’ve a Home Goods around the corner, but otherwise- my plates are white too! Talk to you soon. 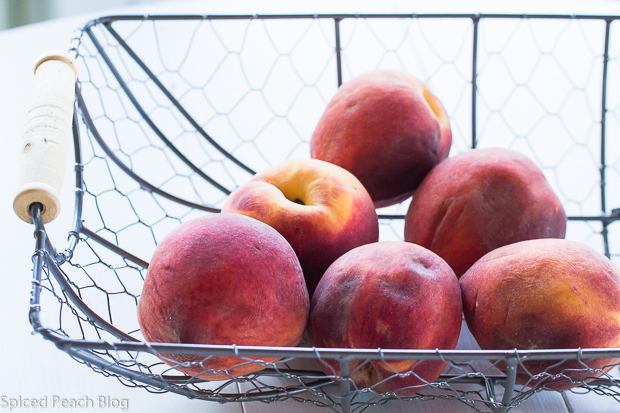 I’m not quite ready to let go of seasonal fruit yet; if you need me, I’ll just be over here getting my fill of peaches any way I can. Spiced Maple Peach Oat Crisp is easy to whip up and perfect for brunch or dessert on a lazy summer day. I love those little dishes, even if grey isn’t the best photo colour! And peach crisp is something I love. I think I prefer it to peach pie. Your recipe sounds wonderful! Hi Teresa, so true on the grey, but I think I agree with you, I too prefer the crisp over the pie… apples will be here before we know it!